Last week, a couple of friends came in for tours of the Bird Division's prep lab and collections. Both are artists, and both had different reasons for wanting to nose around. Having visitors allows me to pause a bit, and look through the collections too. For all the access I have been given, I don't take advantage of it very often. For instance, on Friday, Tom braved snowy road conditions and came in from Milwaukee to view some Ivory - billed Woodpeckers, and an assortment of Galapagos Finches. I have been volunteering for well over a year, and this was the first time I had looked over the Ivory-bills in the collections; somewhat amazing that it has taken me this long. 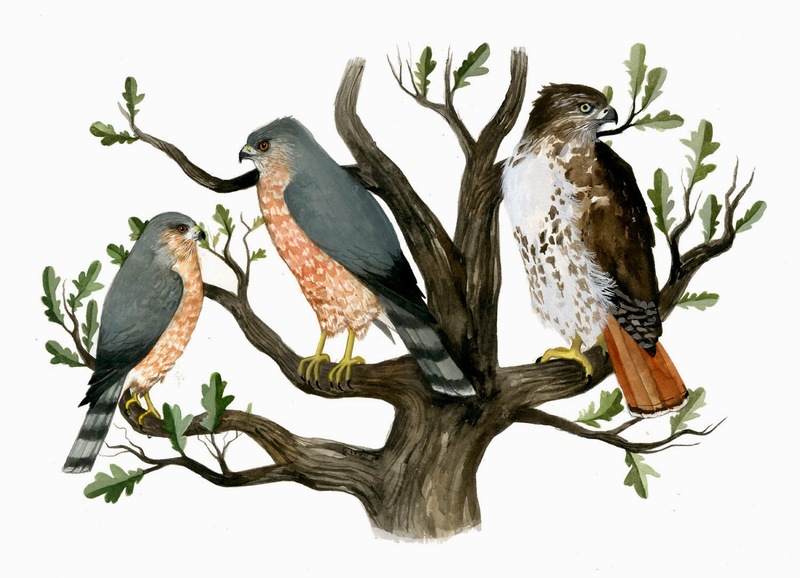 Tom had just finished reading "The Beak of the Finch", a favorite book, and naturally wanted to see some Galapagos finches. On Wednesday, Andrew came by and whereas Tom had some very specific things he was interested in seeing, Andrew's was more general. He admitted to wanting to incorporate a natural history/museum theme into his work, and I am very eager to witness the results of what was absorbed from his visit. While Andrew was visiting, I did the typical amount of research skins, two of which were Empidomax trailli. Willow Flycatchers are part of the the family Tyrannidae - Tyrant flycatchers. 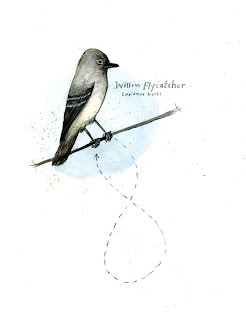 Tyrant flycatchers are passerine birds of the New World, that are mainly insectivorous. Willow flycatchers are pretty common, and easily confused with the Alder Flycatcher. It was thought at one point that the two were related (formerly the two were known as Traill's Flycatcher), but are now classified as separate species. I saw my first flycatcher in northern Illinois's Glacial Park. I was hiking and saw a bird foraging in a manner that caught my eye. It sat on a branch, and then leapt off and flew in a looping trajectory, quickly returning to the same branch. It did this over and over again. The bird itself was pretty nondescript, but it's fly, catch, and return behavior was unmistakable.